I originally posted this last Father’s Day. I wanted to honor the man I called Daddy. Last year was my first Father’s Day without my daddy. He died June 3rd, 2014 and some days I still can’t believe it. Everyday I’m more and more thankful for him. I re-post this to honor him again. 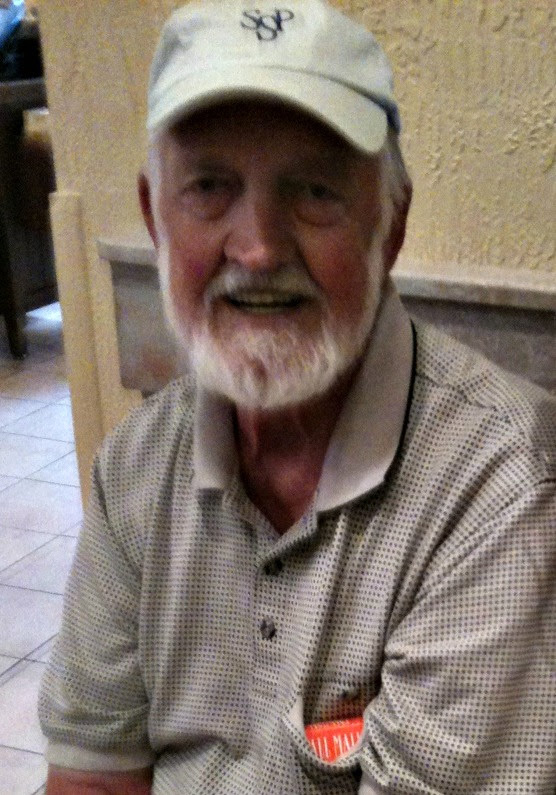 I miss him very much and feel abundantly blessed to have had him as my father. Daddy struggled with an addiction to alcohol most of his life. Twenty four years ago he refused to let alcohol beat him so he beat it. With God’s help, he never took another drink. Daddy talked often of God’s grace because he lived God’s grace. He knew that apart from God he was nothing. God took a rough, stubborn, broken man struggling to make anything of his life and changed him into a man living the promised new life. Daddy was thankful that God saved him and lived his life showing it. Daddy was becoming what God had already made him. Whole and holy. Learning how to love and live. He continually asked God to reveal the deep things of his heart. If he realized there was unforgiveness in his heart, Daddy forgave. If an unkind word was spoken, Daddy apologized. Daddy wasn’t perfect, he was saved. The last two years are a beautiful picture of Daddy’s life. He tenderly cared for Mom while working his full-time job from home. And he loved it! It was his joy to care for her. God made the rough tender. God made the stubborn teachable. God made the broken whole and healed. And I got to watch! I wish I could sit with him one more time on the front porch and have one more conversation. One more “hey darling”. One more hug. One more “I love you.” One more story. One more bit of advice. I miss Daddy. But I rejoice knowing he is with his Father – the One who reached down and loved him, saved him, and healed him. I rejoice because I am blessed to call him Daddy. Thank you Father for loving Daddy, for letting me be his daughter and allowing me to watch grace in action. This is a beautiful tribute to your father. I’m sorry for your loss even if it has been more than a year. Your father’s love and memories will always be with you. Think of them often and teach them to your children. I lost my father to cancer in 1980. Memories of him and our times together help fuel most of my posts. You’re right. A lot of what I post was taught to me by my parents either directly or indirectly. They were very special. Sounds like your father was too. Wonderful tribute to your father. Its always weird to write about your parents, and harder than you would think. It was very moving. I wrote this post as I was traveling, and it was more heart felt then I am normally do. But it was important to me. I posted it on Mothers Day. Thank you Michael. I think more and more about my parents and how blessed I am to have had them. They were wonderful people! !